The land of snow, the roof of the world, the third pole. 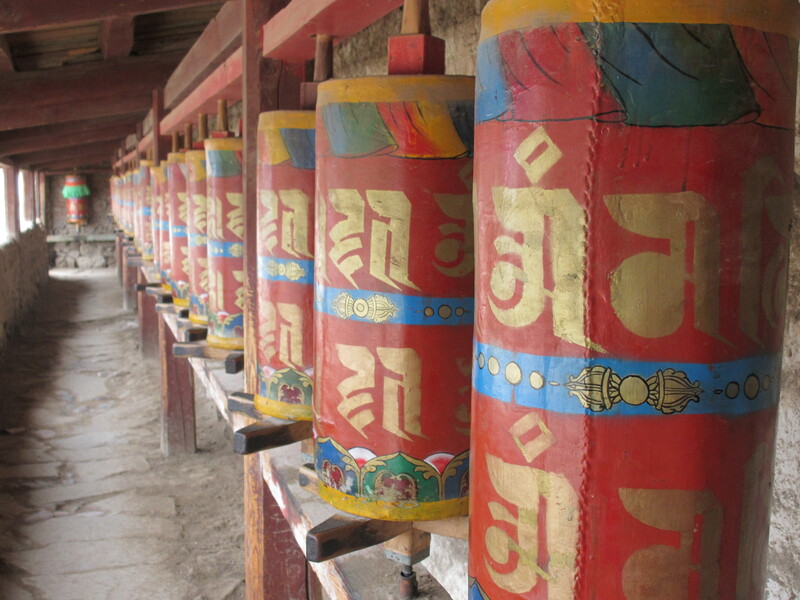 No matter what you call Tibet, it is China. The communists have made damn sure of that. 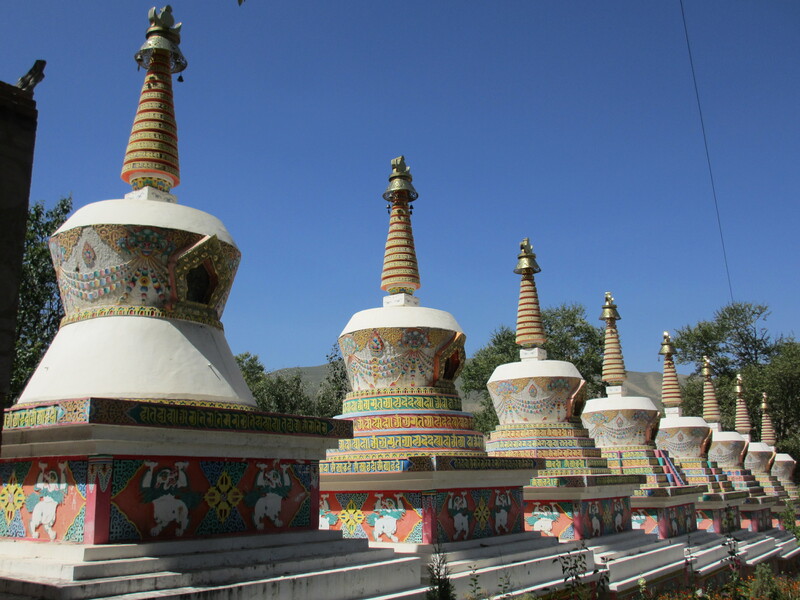 Many parts of the region have been flooded by ethnic Han, but many more areas remain Tibetan such as that around Xiahe, Langmusi and Tongren. There are occasional demonstrations, riots and monks burning themselves alive in the Tibetan regions, but for the most part the people are docile. 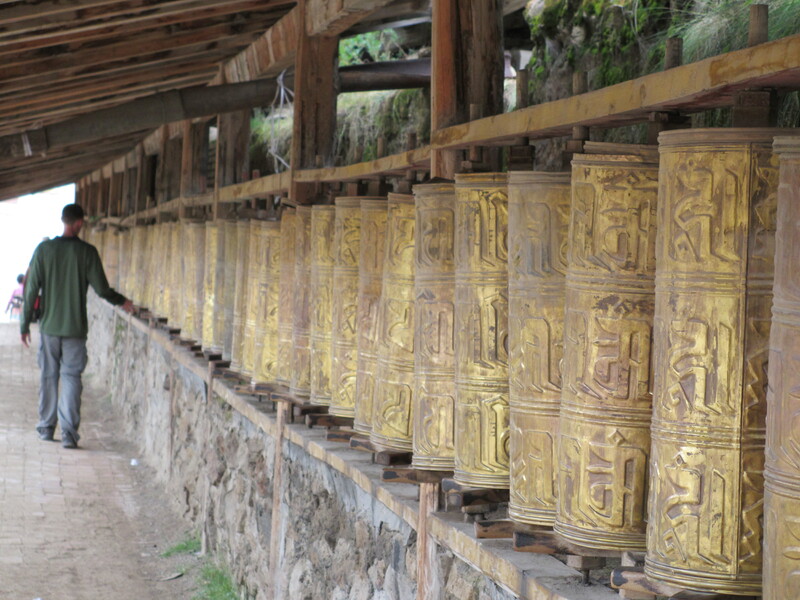 Regardless of their more serene nature most Tibetans long for freedom. I suppose it’s fun to dream. 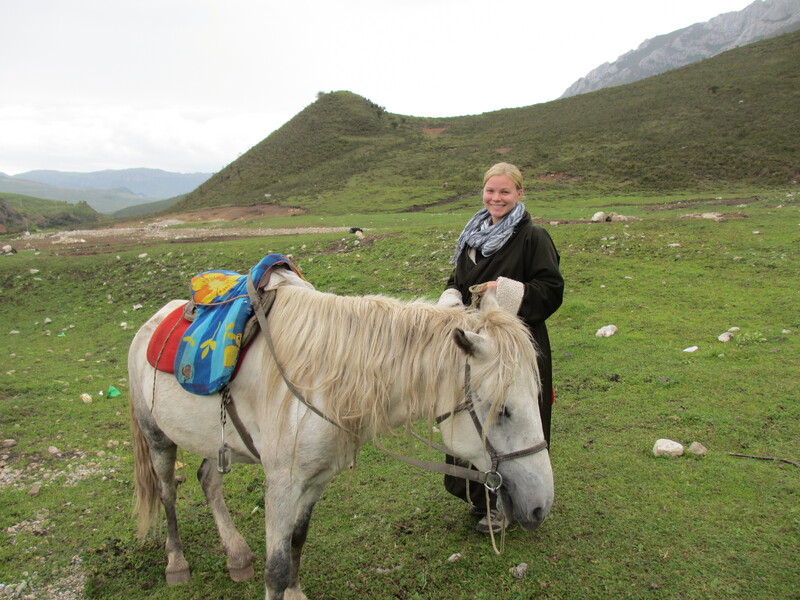 Leaving Chengdu, Magan and I boarded a train headed north-west toward the Tibetan plateau. 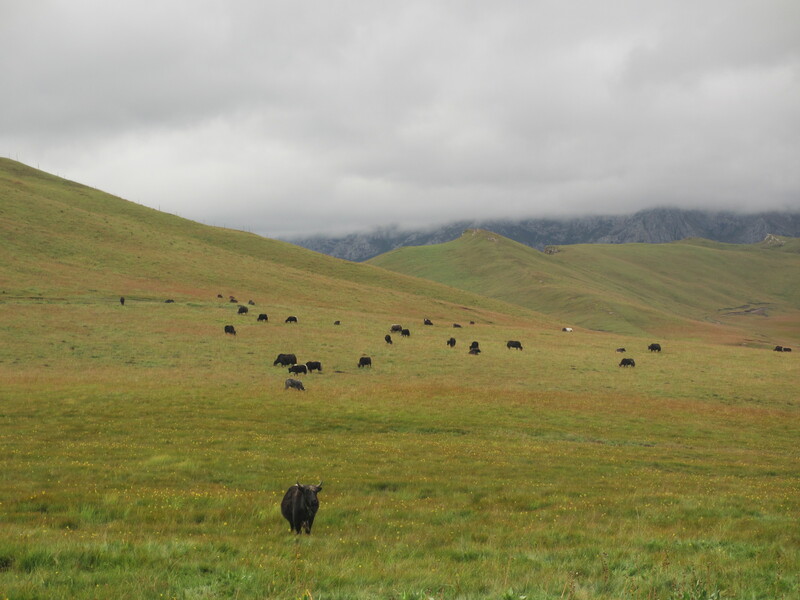 As we climbed in altitude the hot, dense fog gave way to cool clean air, the tall skyscrapers were replaced by large rolling hills covered with tall green grass, and the cars were slowly replaced with herds of yaks and sheep. 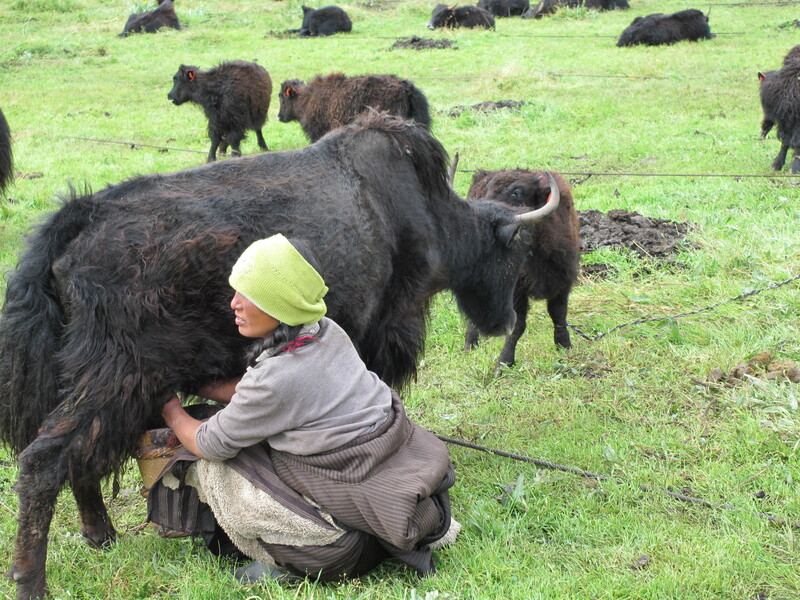 An interesting side-note: the word ‘yak’ perfectly describes the animal’s smell, taste and appearance. 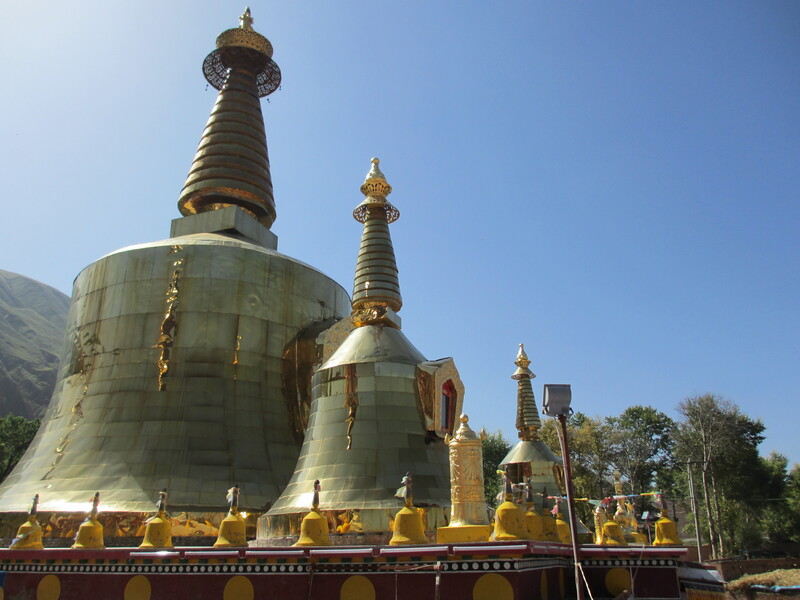 Unfortunately we were unable to visit the Tibetan Autonomous Region due to government restrictions. 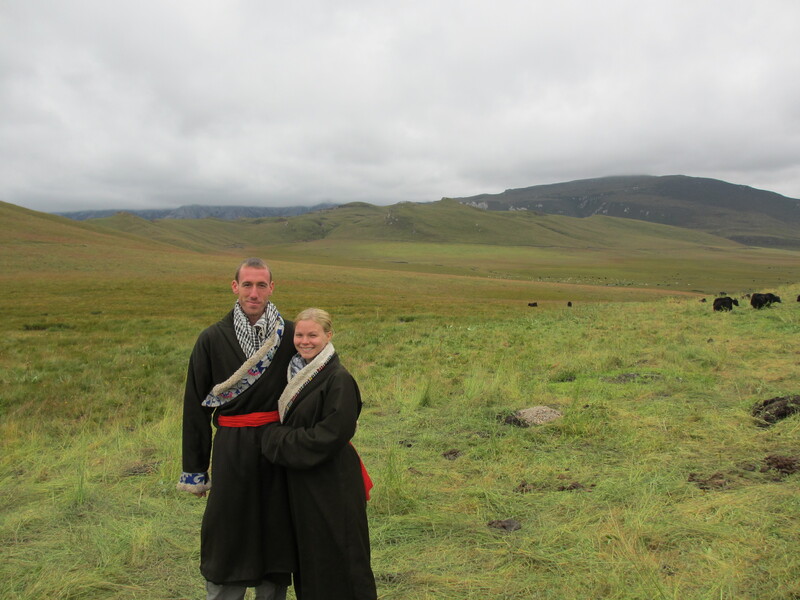 Although we missed Lhasa and the Potola Palace we were able to visit the traditional Tibetan Amdo region. Here the people have flatter faces and slimmer eyes and are, by vast majority, Tibetan. 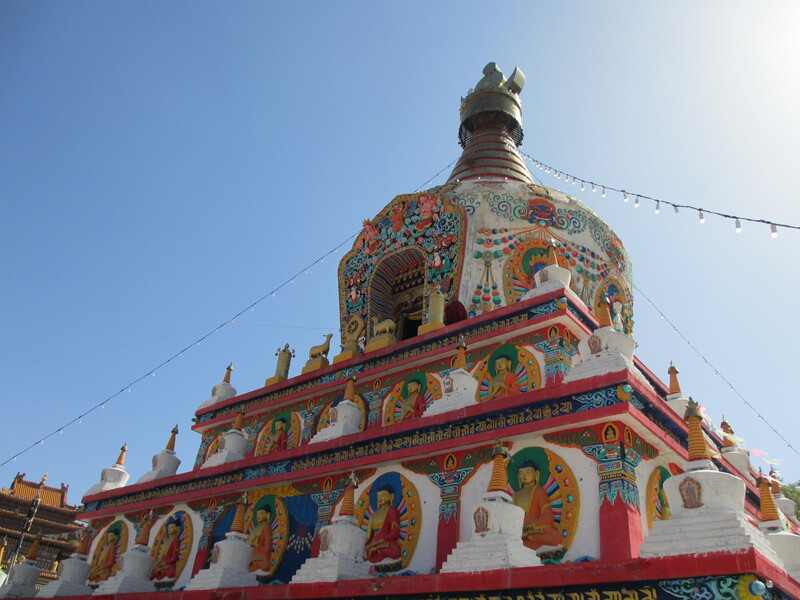 The towns are small and cold and while there are some mosques with interesting architecture the main theme is the Buddhist monasteries and red-robed monks. After a train and bus journey to the middle of no where (slightly reminiscent of Bolivia) we arrived in the town of Langmusi. 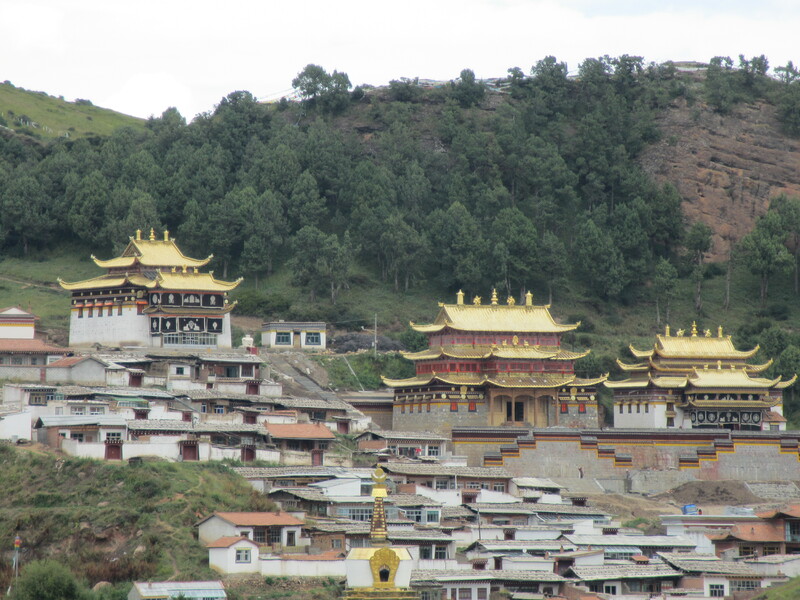 Situated half in the Sichuan province and half in the Gansu province, the town is split by a small river and competing monasteries. 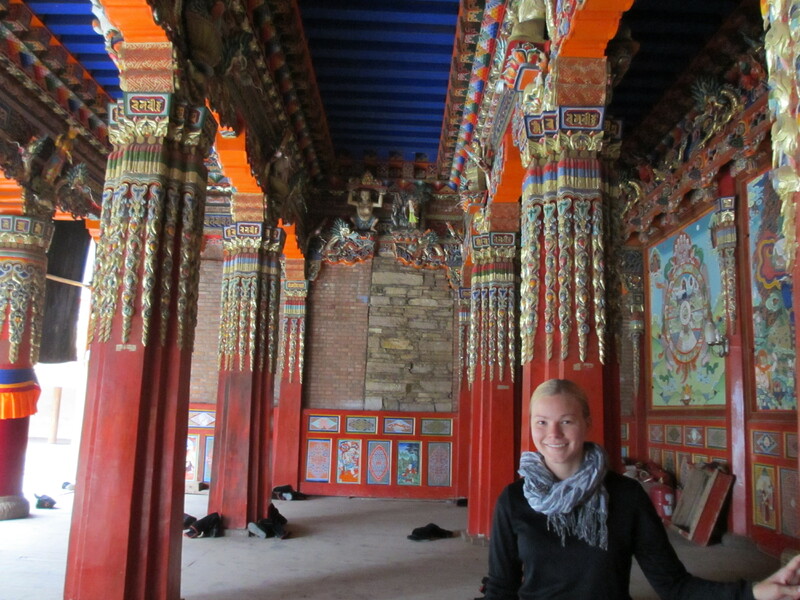 At the gold roofed monastery on the Ganshu side we experienced one of our most memorable and authentic Tibetan moments. 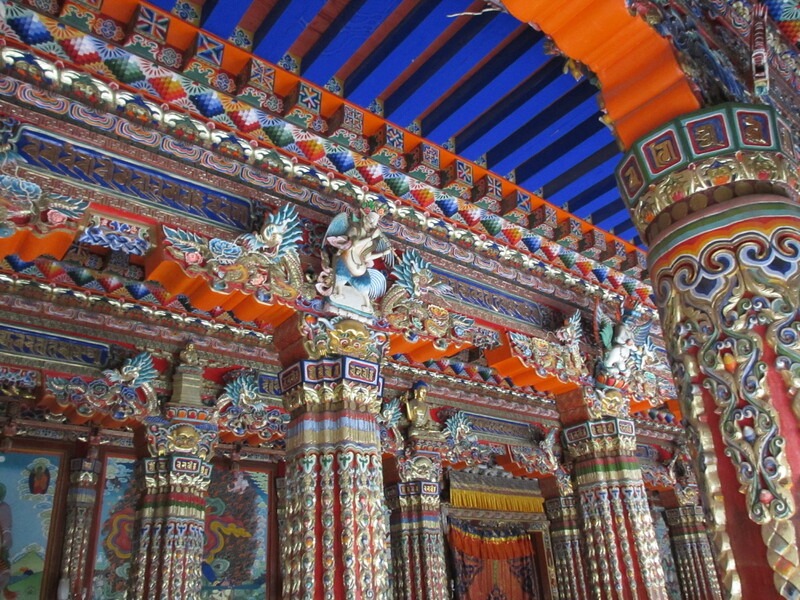 Approaching one of the large buildings of the monastery we came to the entrance surrounded by two rows of colorful columns carved and painted in various Buddhist images. After removing our shoes we entered the building and found dozens of monks lined in rows chanting their esoteric mantras. 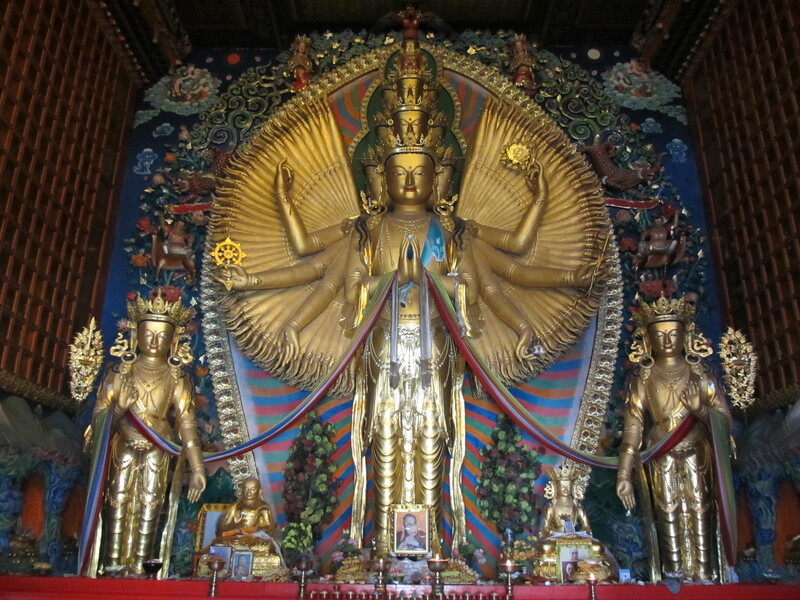 The temple was filled with images and statues sacred to the Tibetan Buddhists including a wall of 1,000 painted Buddhas and another wall of 1,000 Buddha statues. 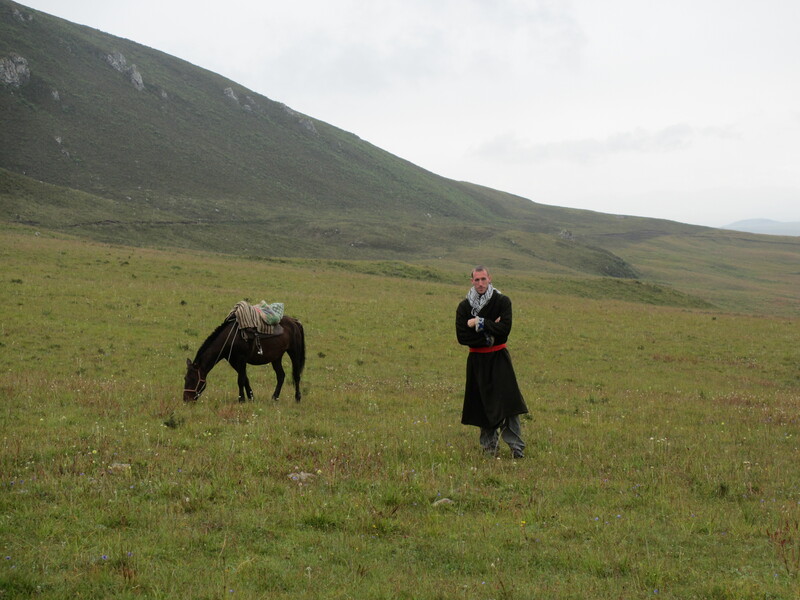 Later that day we headed out on a two-day horse trek to experience the nomadic life style practiced by many in this region. The nomad life itself is pretty horrible, but the experience was amazing. Starting out we rode into the mountains that roll on forever covered with dark green grass. 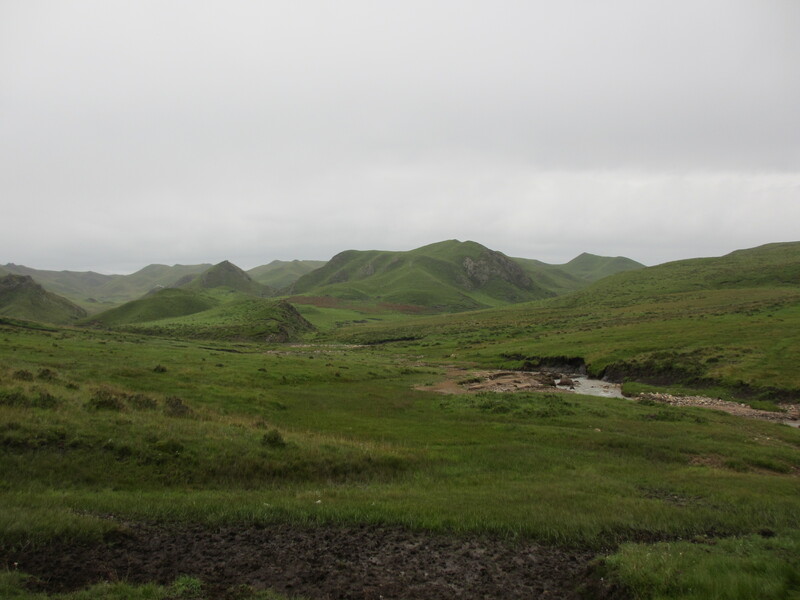 After a few hours of riding we reached a large plain of grass sitting in a valley between the mountains that sit at 3,600 meters covered with yaks and sheep. On this plane were a few tents pitched near each other where the nomads lived and watched over their livestock. The family we stayed with were a very nice Tibetan couple. The tent itself was nothing more than a few poles covered with a canvas and a plastic sheet. 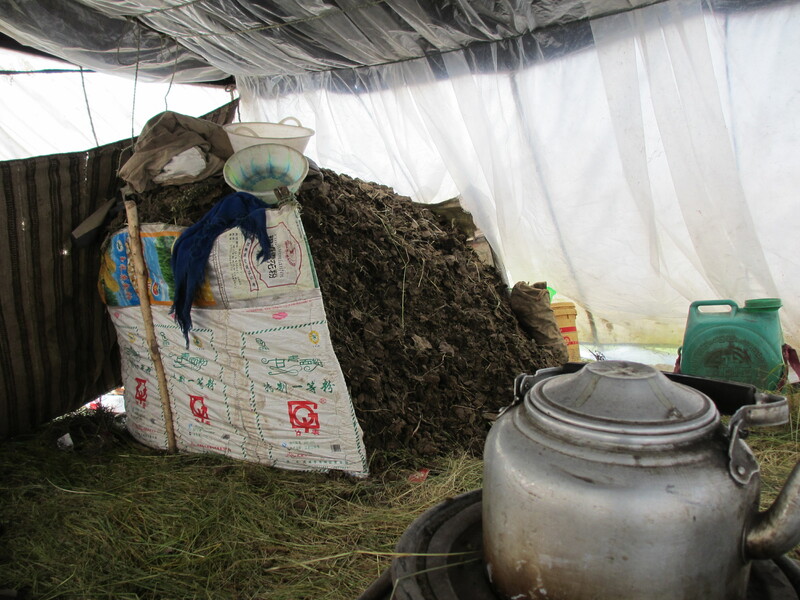 Inside was a straw floor with a stove, a pile of dried yak dung for the stove, and an area for sleeping. The bed area took up about 1/3 of the tent and was simply an area with more straw covered with a thin blanket. The nomad life begins at 4am when the women go out to milk the yaks. After this breakfast is cooked and the rest of the day is spent herding the yaks (for the men) and collecting yak dung and laying it out to dry (for the woman). It is a hard life, but they seem to be happy in what they do. 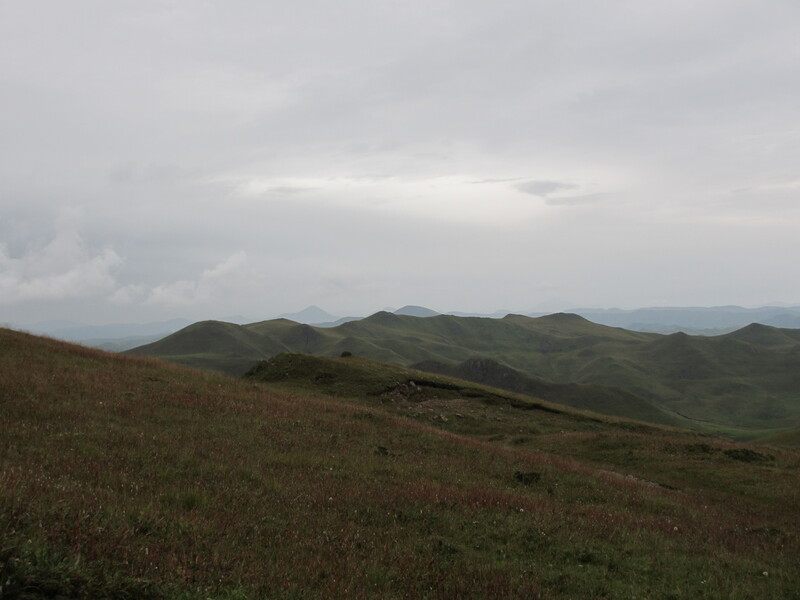 The temperature was near freezing at night, in August, but it was an amazing experience with beautiful Tibetan scenery.